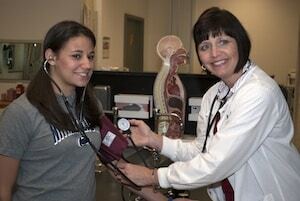 Penn State Fayette, the Eberly Campus, will offer an RN-to-BS in Nursing Completion program at the Washington County Center at Southpointe beginning Thursday evening, August 29, 2013. Classes will be held in the Bailey Center Facility, 125 Technology Drive, Canonsburg, PA. This program is targeted to the working Registered Nurse (RN). The program is being coordinated by Penn State Fayette’s Office of Outreach and Continuing Education in partnership with Penn State’s Beaver Campus. Joe Segilia, Director of Fayette’s Continuing Education Office stated that he is excited about the opportunity to bring this outstanding Nursing Program to local residents. This program is Penn State Fayette’s first effort to offer credit courses in Southpointe. Segilia said that this initiative is one way they can help nurses receive professional development opportunities right in their local communities. Individuals interested in learning more about this new program initiative can call Penn State Fayette’s Nursing Department at 724 430 4220. Janet Knott, D.N.P., R.N., C.N.E., began her nursing career at a small community hospital in an adult Intensive Care Unit. While practicing at this hospital she obtained a Baccalaureate of Science in Nursing Degree from the University of Pittsburgh and then a Master’s of Science in Nursing Education Degree from Indiana University of Pennsylvania. Knott has over 20 years of clinical experience in both adult and pediatric Intensive Care. Most recently, she obtained a Doctor of Nursing Practice from Carlow University. Presently, she is a Certified Nurse Educator at Penn State Fayette, the Eberly Campus in Uniontown, where she has been teaching nursing for the past fourteen years both in the Associate Degree and Registered Nurse to Baccalaureate in Science programs. 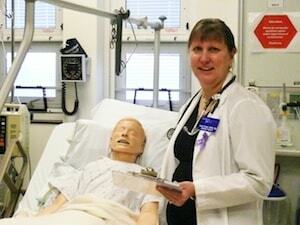 In addition, she is currently the Simulation Laboratory Coordinator. Knott is truly passionate about nursing and the education of present and future nurses, which is exemplified in her teaching.